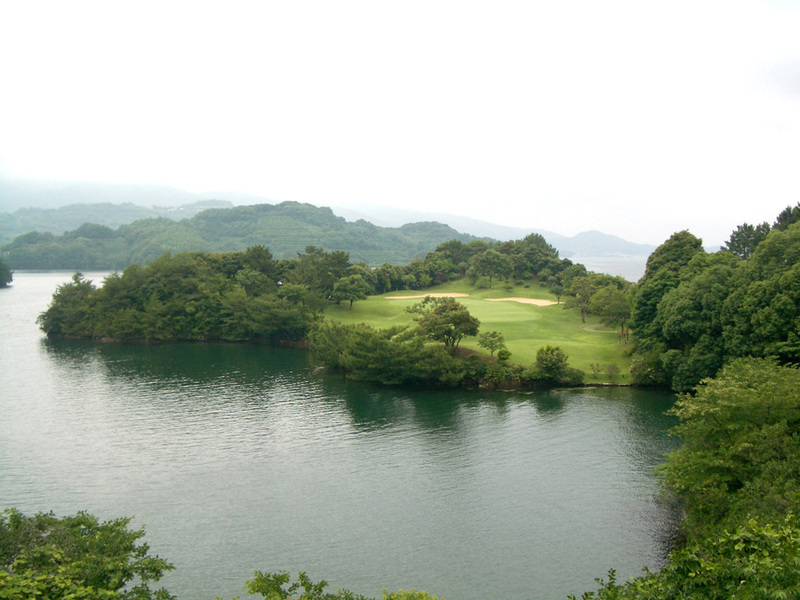 A seaside course that makes full use of a small peninsula that floats by Omura Bay. Although there are three ocean front holes, the course gives players more impression as a flat forest one, rathere than the seaside one, where each hole is seperated by woods. Since the fairway is relatively wide, tee shots can be hit hard. However, the closer to the green, the narrow the target becomes. The couse also features that there are moderate undulations both on the greens and fairways. A signature hole with a scenic bay view. The green is located at the tip of the peninsula and is surrounded by the sea on all three sides, an unusual design for Japanese courses. The green gives players the illusion as if it’s an island floating above a beautiful ocean. Players will not only need to calculate the intensity of the sea breeze, but the height difference as the hole is 30 feet (10 meters) below the tea level. The inclination of the green is strong and players will find a big hump in the center. There are many man-made island green holes, however, this island green hole makes an extraordinary use of its natural materials, making it quite impressive. Hong Kong's Kai Sai Chau Public GC also has a similar dynamic par 3 which players will enjoy. A demanding par 5 with a cliff and sea facing fairway on its left. With a tee shot that crosses over a valley, players will need an accurate second shot in order to avoid the steeps cliffs, and land on the green safely on their approach. A slightly left bending dogleg par four. With an OB on the left side and a pond on the right of the green, players will require an accurate approach shot in order to land the ball safely on the elevated green. A short & beautiful par three consisting of an over-a-pond pond tee shot and a horizontally long green. A dogleg to the left with the over-the-cove tee shot. The approach shot is downhill to hit onto the green guraded by four bunkers with the superb ocaen on the right. A long par five with an OB zone that continues all through the right of the hole. On the second & third shots, the pond on the left side of the fairway that extends all the way to the green will come into play. The landing area of the fairway on the second shot is narrow, too. Players will also have to approach the green with caution, as they will have to overcome a pond placed right in front of the green. Visitores can play. I stayed in a Mediterranean holel next to the course. All the rooms have beautiful ocean views. Guests will also be able to enjoy a stunning view of the sea from the bathtub, making it a perfect way to start one’s morning during sunrise. Furthermore, the French cuisine served in the hotel was also incredibly delicious. During my play at the ninth hole, I was able to see a Grey Heron bird by the lakeside. It was a lucky momet as this was bird known to appear only once a year. 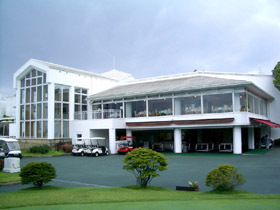 The golf course is about an hour car ride from Nagasaki City. On the way back, I traveled via a boat when returning to Nagasaki airport. With an exclusive marina located at the premises, it is only about a 20-minute boat ride from the course to the airport. As someone who has lived in Hong Kong for many years, and accustomed to traveling by boat, the cruise ride offers a new and beautiful perspective as visitors travel through the various islands. The journey makes visitors feel as if they are cursing through a wonderful resort hotel in the Mediterranean. 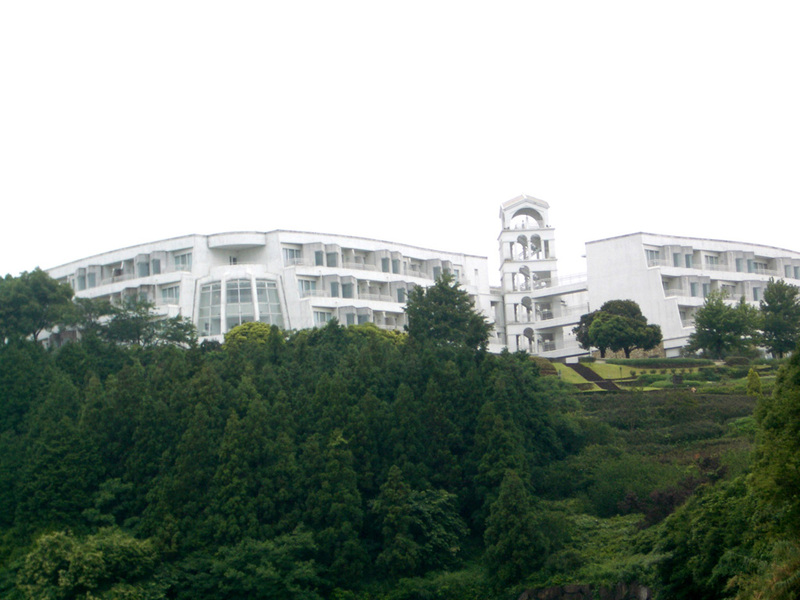 Furthermore, the view of the golf club and the white-walled hotel made quite a spectacular view from the boat. 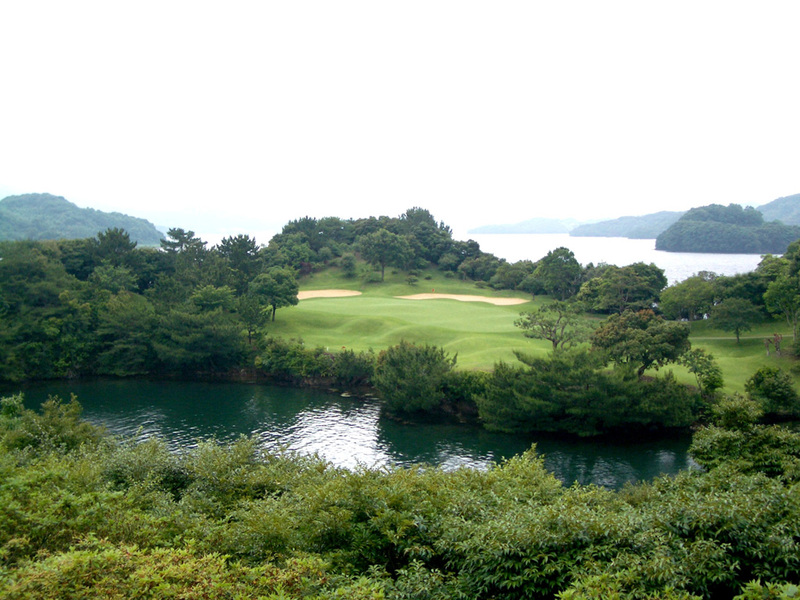 In 2002, the Golf Classic magazine in Japan ranked the course 32nd in their Japan Golf Course ranking.